The Gilded Age was an era between 1870 and 1900, marked by industrialization, mechanization, economic growth, the rise of large corporations, build-out of railways, urbanization, and immense wealth creation among business owners. It also included monopolies, worker abuse, child labor, corruption, and other conditions that unsettled the American public and which thereby influenced political elections after the turn of the century. The Progressive Era (ca. 1900-1930) followed the Gilded Age, and was the response to widespread economic and social injustice of the Gilded Age. Progressive movement leaders sought to restore economic and social fairness through various means, including the management of enterprises both large and small. The leader of this part of the Progressive movement was Frederick Winslow Taylor, the father of Scientific Management, and upon which the discipline of industrial engineering was created. This new engineering discipline formed the backbone of what later became known as the Toyota production system (TPS). The focus of Taylor’s work was not technological innovation or mechanization of production resulting from capital investment in the latest machinery. Rather, it was to improve labor productivity via process improvement using existing machines, tools, and materials. 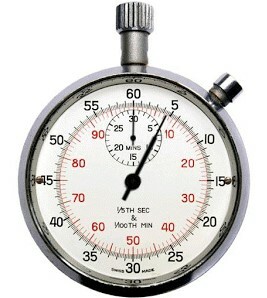 The use of a simple stopwatch to determine the time it actually took to do the work was largely the extent of Taylor’s interest in mechanisms. Taylor developed his new management system in specific ways whose intended outcomes were to benefit both labor and management (as well as customers), not benefit management at the expense of labor as had been the case during the Gilded Age. Scientific Management was not created for the purpose of wealth creation (nor was TPS). It was created to improve work processes and cooperation between management and workers, from which both greater profits for owners and higher wages for workers would be realized. For these and other reasons, Taylor’s great contributions can never be erased from the history of management thought and practice. Those who try mangle the facts and distort Taylor’s intentions so thoroughly in their efforts to diminish him that they undercut their own credibility. The Toyota production system has roots in the American progressive era and the ideas of cooperation, process improvement, fairness, and mutual prosperity. TPS is recognized as a progressive management practice because it represents reform, innovation, advancement, and improvement over conventional management. The former is non-zero-sum (win-win) in which an important principle, “Respect for People,” is recognized as a requirement for the correct practice of TPS in order to achieve its goals and objectives. The latter, conventional management, is zero-sum (win-lose), devoid of “Respect for People” because it is seen by managers as interfering greatly with the the goal of making money for owners, typically in the short-term. In TPS, specific methods and tools are used by managers and employees to expose problems, understand problems, and continuously improve processes to satisfy customers and earn profits over the long-term. In conventional management, any method or tool that helps fix the problem du jour is used, typically in confusing, unsystematic, bureaucratic, and incomplete ways. Most managers in industry became aware of Lean in 1988, principally though the work of researchers at the Massachusetts Institute of Technology. Specifically, the publication of “Triumph of the Lean Production System” (John Krafcik, 1988), followed by the books The Machine that Changed the World – The Story of Lean Production (James Womack, Daniel Jones, and Daniel Roos, 1990), and Lean Thinking: Banish Waste and Create Wealth in Your Corporation (James Womack and Daniel Jones, 1996). The timing of these works, devoid of the “Respect for People” principle, could not have been better if a business leader’s objective was to create wealth in zero-sum ways; to enrich owners at the expense of employees. Lean became popular just-in-time to contribute to the creation of the Second Gilded Age. Recall, that Scientific Management emerged from the Gilded Age to correct economic and social injustice, not to create it. Yet, post-1988, Lean was widely adopted and used in a narrow fashion by the leaders of large corporations for the purpose of creating wealth for owners in a time of great wealth accumulation not seen since the Gilded Age. Lean was used in a zero-sum (win-lose) manner in which employees, as well as suppliers and communities, were the losers via plant closings, layoffs, flat or declining wages, benefits cuts, and so on. For employees, the timing for Lean could not have been worse. Lean plus “maximize shareholder value” plus globalization plus offshoring plus cheap money meant employees would be the biggest losers and owners the spectacular winners. Is Lean (MITs researcher’s derivative comprehension of TPS) relevant post-2016 in the sense that we have known it since 1988? It is necessary to distinguish between Lean and TPS, Toyota’s management system, and diminish the former and better understand and practice the latter? Will business leaders change their understanding of Lean in the coming years to deliver better outcomes for employees, suppliers, and communities? Will employees trust Lean or their leaders to deliver better financial and non-financial outcomes for them? Should the future focus of Lean be only in areas where its principles and practices are seen by people in a positive light, including Lean Startup, Lean product development, or Lean for the environment and natural resource conservation? Managers have spent the last 130 years getting employees to conform to ever-more precise standards for work. Should we not spend the next 130 years getting leaders to conform to precise standards for work as well? After all, the remaining inefficiency (waste, unevenness, and unreasonableness) in employees’ work, which is significant, is driven by the enormous inefficiency of leadership. Employees’ work performance is orders of magnitude better today than it was in 1885. Yet, in terms of efficiency in work methods, leaders’ performance in 2016 is where employees were in 1885. There is massive opportunity for “Scientific Leadership,” especially for today’s fast-moving businesses and industries or those facing disruption. Click here to learn about the new science of leadership. – Are we now going through a “Progressive Era Of Leadership”? – How might we go about solving “The Leadership Problem” with a team-based, daily kaizen approach? I’ve got my opinions about these. Curious to hear what others think.